Tru-Stile's exterior doors offer a wide array of architectural styles to complement any home, with over 400+ door styles available in exterior grades. With TruStile, you never have to sacrifice style for function. 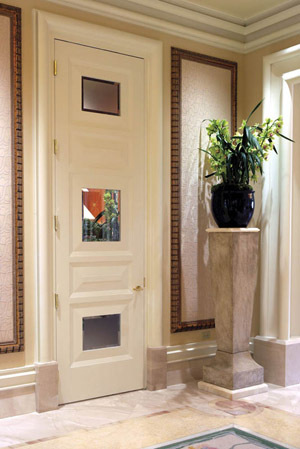 All exterior doors receive TruStile's exclusive TruBolt system to ensure structural integrity. They also come with a limited lifetime warranty when they are installed in an opening with qualifying overhang protection. 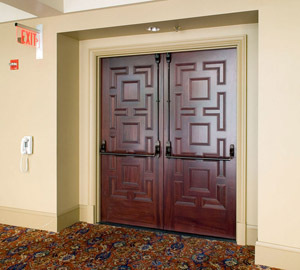 TruStile's exterior MDF doors provide superior paint-grade performance for qualifying exterior applications. TruStile's exterior-grade MDF doors receive specially engineered stiles, rails and panels to ensure they perform in changing environmental conditions. 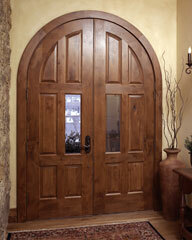 Enhance the beauty of any entrance with a distinctive wood door. Our exterior wood doors come with engineered LVL (laminated veneered lumber) stiles & rails and are available in 14 standard wood species.